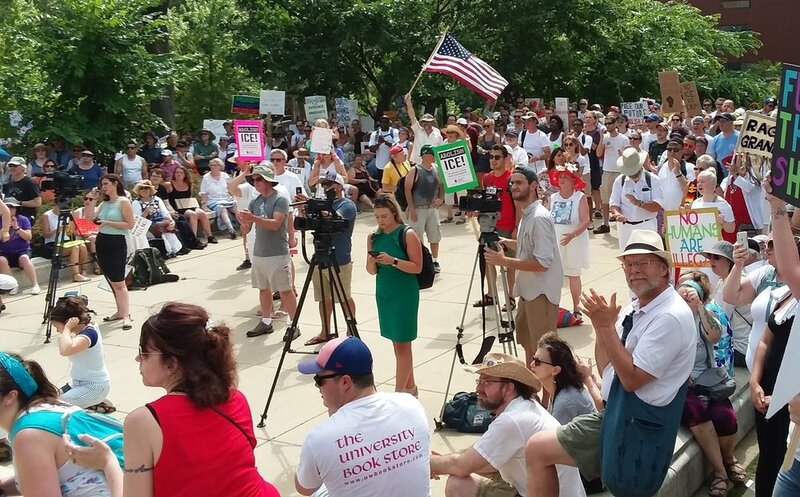 OWR-Dane members and other citizens rally June 30, 2018 at the Capitol to protest inhumane treatment of immigrants and their children. The June 30 protest was sponsored locally by OWR and Indivisible and sponsored locally by Indivisible and OWR, and nationally by MoveOn.org, the ACLU, National Domestic Worker’s Alliance, Moms Rising, We Belong Together, United We Dream and the Women’s Refugee Commission. In May and June, OWR-Dane members participate in the nation-wide Poor People's Campaign: A National Call for Moral Revival. OWR teamed up with Indivisible Madison to write postcards in support of Assembly District 42 candidate Ann Grove Lloyd.